Hawaii Geophysical Services exhibited at the 2015 Pacific Building Trade Expo to share information with architects, engineers and related building trade professionals. 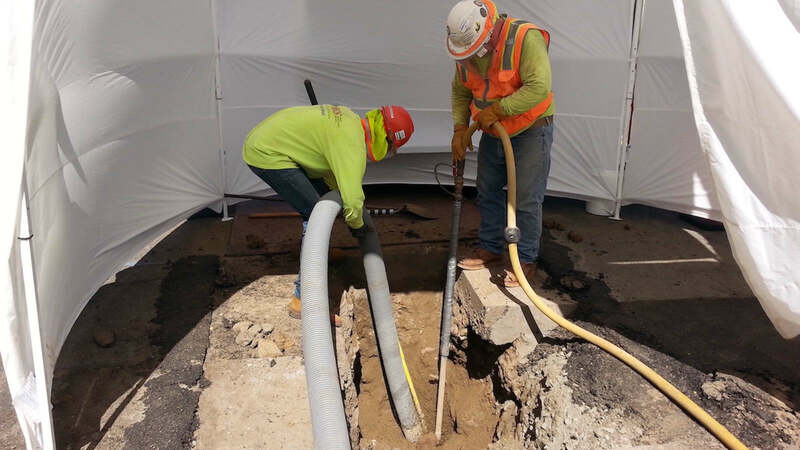 Hawaii Geophysical Services is conducting an air excavation project at the new International Marketplace in Waikiki.. The water main line and laterals must be identified and exposed so that they may be replaced. The new International Market Place is scheduled to open on August 25, 2016 and will be the home to multiple retailers including Hawai’i’s first Saks Fifth Avenue.